In this short video, Seeking Jordan author Matthew McKay shares powerful insights he gained about love’s eternal nature through channeled writing sessions with his son Jordan who was murdered in San Francisco in 2008. We invite you to subscribe to New World Library’s YouTube Channel for immediate access to the latest author interviews, book trailers, and more. 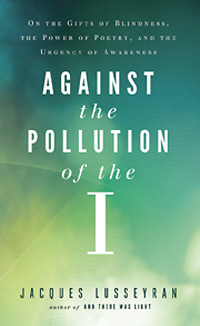 When author Matthew McKay’s son, Jordan, was murdered, he set out on a quest to discover the truth about why we are here and what happens when we die. He became determined to listen and look for his dead son in any way he could. In Seeking Jordan: How I Learned the Truth about Death and the Invisible Universe, he shares what he learned along the way. McKay is not a psychic or a medium — quite the opposite, in fact. He is a psychologist with a deep love of science who never expected to take this journey. But as he has learned, in the heart of pain exist things he never imagined. 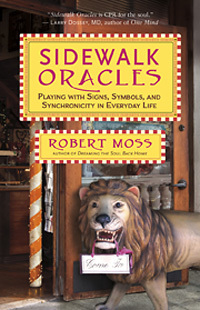 In the new book Sidewalk Oracles: Playing with Signs, Symbols, and Synchronicity in Everyday Life, bestselling author and world-renowned dream explorer Robert Moss shows us how to walk the roads of waking life as conscious dreamers by learning to recognize how the world is speaking to us through signs, symbols, and the play of synchronicity. Psychic medium Bill Philipps quickly rose to prominence in Los Angeles and around the world when he starting giving readings while still in his 20s. He has appeared on the Dr. Phil show and has helped countless individuals deal with the grief of losing loved ones by bringing through validations, evidential information, and beautiful messages that heal and bring a sense of peace. We hope you’ll enjoy this article by Bill, adapted from his new book, Expect the Unexpected: Bringing Peace, Healing, and Hope from the Other Side, which is currently making its way onto bookstore shelves.